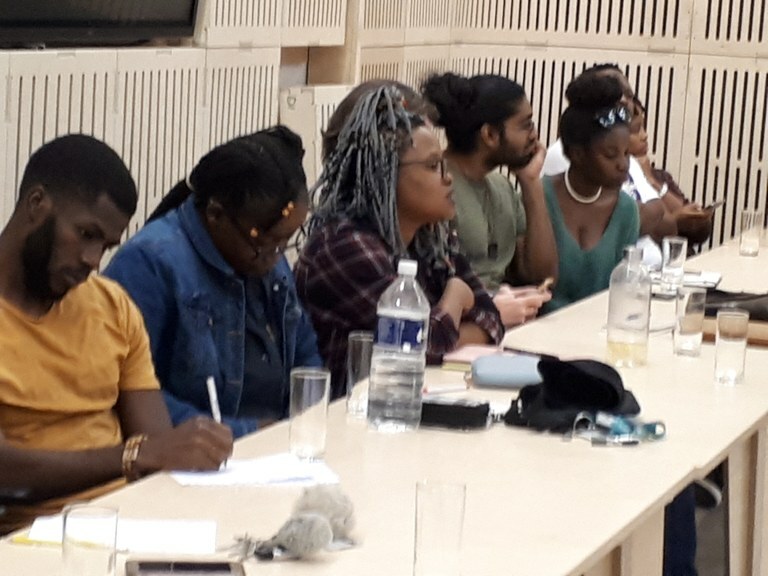 More than forty people attended the second in the series of monthly seminars which I am hosting on the theme of culture and development at the Future Africa Campus, University of Pretoria. The seminar focused on a critique of the Revised White Paper on Arts, Culture and Heritage which has been more than five years in the making, and is still not done. Katlego Chale served as a respondent, after which he and a colleague performed Stains, a satirical commentary on corruption in the police force. For my full critique of the Revised White Paper, see Articles on this website.